The Shattered Isles are at peace. The vile pirate lord, Bloodwind, has been vanquished, and Cynthia Flaxal has everything she always dreamed of: the mystical powers of a seamage, a successful shipyard, the love of Feldrin Brelak, and a soon-to-be-born heir. But trouble roils both above and below the waves. The mer demand more of Cynthia than she is willing-or able-to give. The emperor views her growing fleet of ships as a threat to the empire. And deep within the jungle of a tiny island lurks the pirate crew of the Cutthroat, eager for revenge. When Cynthia agrees to shepherd an apprentice pyromage, Edan, through his rite of ascension, she considers it a simple favor for a friend. But there is more to the fledgling pyromage than meets the eye, and his hot-blooded attraction to Camilla provokes terror in the woman who had long been Bloodwind’s captive. 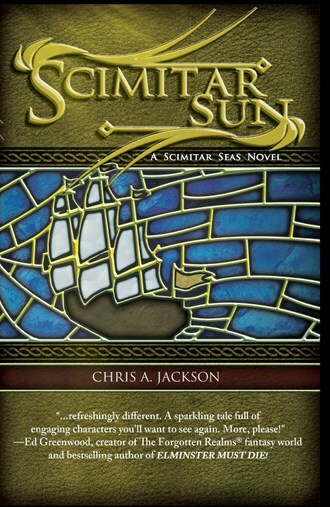 Soon Cynthia finds herself facing a school of vengeful merfolk harboring a secret and terrible agenda, imperial warships intent on imposing the emperor’s edicts, a devious pirate plot to regain supremacy in the Shattered Isles, and a pyromage who has been blessed with great power, but lacks the maturity to wield it responsibly. As these forces converge, the Seamage of the Shattered Isles finds herself and her unborn heir caught right in the middle.